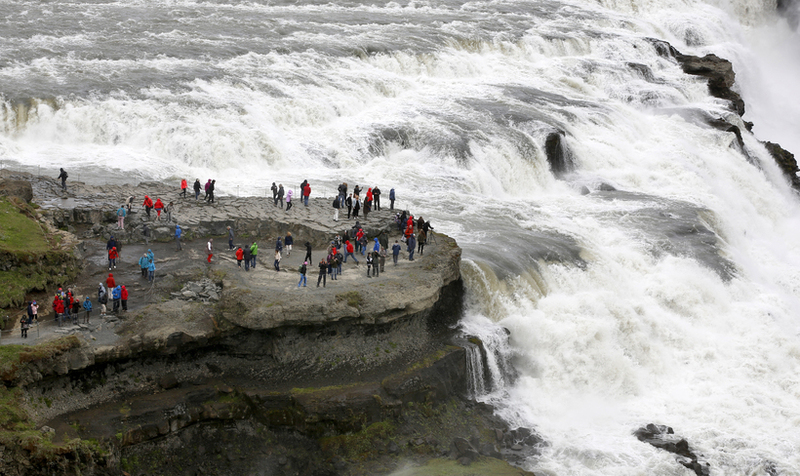 Police have closed off the lower walking path down to Gullfoss waterfall, one of Iceland's most popular tourist attraction. This is for safety reasons as the path has become very icy which can of course be very dangerous. 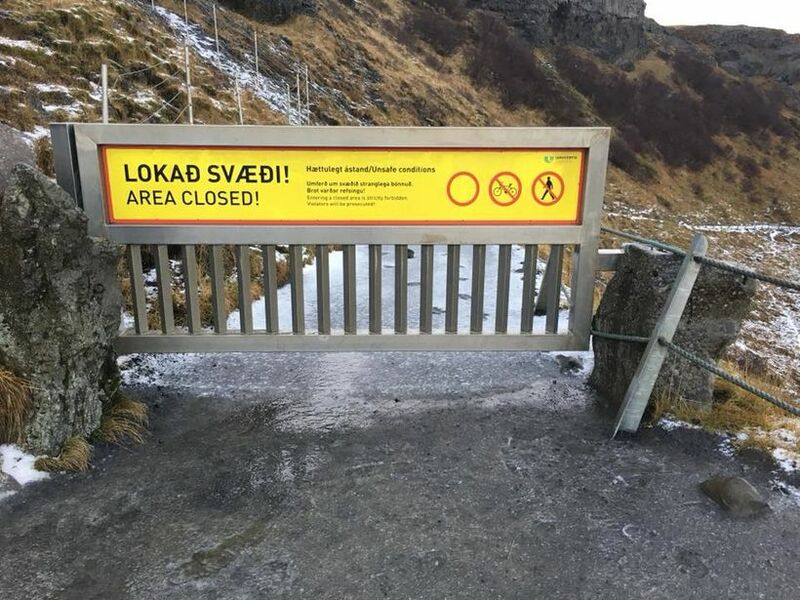 Park rangers say that the path is so icy that there's no way to even stand up on it without ice spikes. Last year the same gate was put up after people disregarded a safety chain used for the same purose. "Some people jumped over the gate yesterday but I think most sensible people will realise the need for this," said the warden speaking to mbl.is. The path will reopen when weather conditions change for the better, that is, if a warmer spell arrives. The weather forecast for the weekend is for clear and very cold weather.